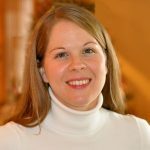 Jodi Bostrom, Senior Fisheries Consultant - MRAG Americas, Inc.
Ms. Bostrom joined MRAG Americas as Senior Fisheries Consultant and MSC Fisheries Program Manager in 2015. Prior to MRAG, she spent 5 years as Fisheries Assessment Manager at the Marine Stewardship Council (MSC) in London. Among many things, she developed the MSC’s benthic habitats policy and the Consequence Spatial Analysis (a risk-based framework for assessing habitat impacts in data-deficient situations) as part of the MSC Standard revision. Prior to the MSC, she spent 11 years with the National Academy of Sciences’ Ocean Studies Board in Washington, DC. She earned an M.Sc. in Environmental Science at American University and a B.Sc. in Zoology at the University of Wisconsin. Ms. Bostrom serves on MRAG’s MSC fisheries assessment teams and reviews MSC assessment reports for technical quality and compliance, with particular experience in the Principle 2 components of the MSC Standard.